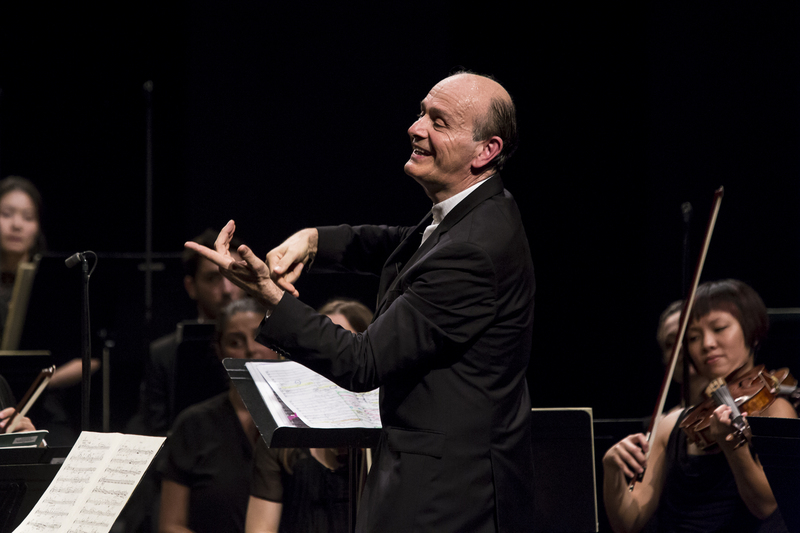 From every bar of last night’s Mozart evening it was plain to see the joy taken by the Verbier Festival Chamber Orchestra in working with Gábor Takács-Nagy. The First Symphony burst into life with spry, Italianate verve and theatrical Mannheim-style crescendos. The piece is a portmanteau of such gestures, but Takács-Nagy joined up the seven-year-old Mozart’s dots, cultivating a silky legato in the strings and constantly shifting shades of colour from each individual wind soloist. The famous C-D-F-E motto of the slow movement was not the steady refrain suggested by the score but woven into a gently pulsing fabric of sound. The finale leapt out of the blocks much as the VFCO’s leader could barely contain himself in his seat. This, and even more the ‘Jupiter’ which followed, were festival performances in the best sense of the term. Like the local bread, they were prepared with love, freshly baked, unstaled by tradition or professional ennui. No one on stage was just getting the job done. Those Mannheim crescendos returned in the ‘Jupiter’, as indeed does that C-D-F-E motif as the main subject of the finale’s fugue. Now, however, Takács-Nagy was free to play with bolder and more nuanced contrasts. Each movement had its mise-en-scene like an act of a da Ponte opera. After the first movement’s festal, al fresco feel, the Andante moved indoors for a nocturnal dialogue which switched between the pleading legato of the main theme and the surging turmoil of its answer. Takács-Nagy brought a grand, one-in-a-bar swing to the Minuet, reminding us how Mozart took pleasure all his life in writing music for dancing, even up to the set of German dances in the last year of his life. What is the setting of the finale, though? A teeming brain in full command of its prodigious faculties. For ten minutes we were taken inside Mozart’s head, and what a restless, bewildering place it is. Perhaps only the late Nikolauus Harnoncourt has conceived a ‘Jupiter’ of such rampantly fertile invention. The C minor Mass in the second half brought no such revelations. In a comparatively old-fashioned reading, Takács-Nagy stressed the harmonic austerity of the choral pillars which hold aloft this monumental if uneven torso, Placing the woodwind in a circle of communicants around the conductor made a stronger impact on eye than ear. They were not always heard above a bass line of four cellos, two double-basses and chamber organ, solid and weighty out of proportion to its size. The Mastervoices of New York made a sweetly homogenous choral blend, even when taken down to a murmur, as Takács-Nagy often did. They struggled to make an impact beyond the back of the stage box, however, and were severely tested by the speeds set for the fugues of the Gloria and Sanctus. I suspect they’ll be more at home in Sunday night’s Carmen. The young Hungarian soprano Emőke Baráth showed admirable poise in the ‘Et incarnatus’ without ever quite dispelling a sense of how ferociously hard it is to sing. Ann Hallenberg fined down her more ample mezzo to match Baráth in the sensuous lines of the ‘Christe’. The Mass was a performance fit for the evening; the symphonies will live in the memory.